Bay Medical Sacred Heart welcomes Linda K. Fox, MD, as the newest member of the Board of Trustees, the group responsible for overseeing the operations of the hospital. 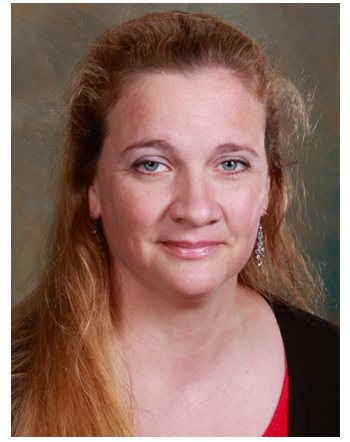 Dr. Fox replaces Vickie Harrell, MD, who came off the board in June after serving three years. Dr. Fox has been on staff at Bay Medical Sacred Heart since 2003, and has served in several leadership positions including Chief of Medicine, Chief of Staff, Co-Chief of the Emergency Department, and chairman of the Credentials Committee. Dr. Fox is a native of Ohio and received her medical degree from Wright State University School of Medicine in Dayton, Ohio. Her residency was in Family Practice at Saint Vincent Health Center in Erie Pennsylvania. She was commissioned into the U.S. Air Force in 1992 and also worked at Eglin Air Force Base. Dr. Fox is very informed about all areas of the hospital. “I have worked in virtually all areas of the hospital, including the Emergency Department, and have interacted with staff and my medical peers through my role as a referring physician. “I am privileged to serve with an outstanding group of board members and I am encouraged at the large number of physicians represented on the hospital board,” she said. Bay Medical Sacred Heart (BMSH), a 323-bed regional medical center located in Panama City, provides hospital care and outpatient services to patients from a seven-county region in Northwest Florida. BMSH has nearly 300 physicians on staff representing virtually every medical specialty, and has a support staff of more than 1,700 dedicated employees. The hospital has received numerous accolades for clinical excellence on a national scale, including the Top 50 Hospital Award, received for five consecutive years. BMSH is the area’s only Level II Trauma Center and the only facility in a 75-mile radius doing open heart surgery.